Condition: New Sealed. Seal ripped at back top corner only (see photo). Model: 48659. Toy Biz - 1999 - Marvel - THE BEAST - Model Kit - Level 2 - NEW - Factory Sealed. 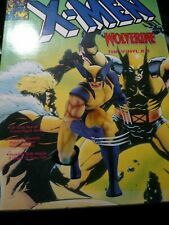 Marvel Toy Biz Wolverine Level 2 Model Kit, Sealed in Package. This is a level 2 model and will need to be glued together. Please refer to pics for condition of the box. 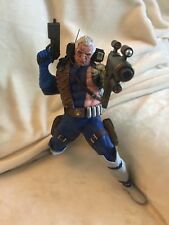 Really cool looking pose. Wolverine in attack mode. Condition is New. Email me with any questions. Shipped with USPS Priority Mail. I will ship within 24hrs of cleared payment. I will leave feedback after transaction is complete. Marvel Comics STORM Level 2 Model Kit(Toy Biz,1996) NEW/Sealed in original Wrap! Marvel Comics: Storm Model Kits Level 2. Boxed, never opened. Box is in good condition with the wrapping having slight tears. This has 35 pieces and is 10" tall. Paint and glue are not included. 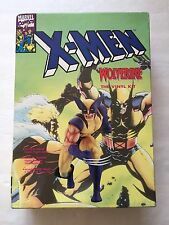 ToyBiz Marvel The Beast X-Men Model Kit Vintage 1996 sealed package! The kid is still sealed. The box has a little bit of weird to the top of it. RARE SEALED THE BEAST LEVEL 2 MODEL KIT! MARVEL! X-MEN! The Beast Level 2 Model Kit! This may be a great opportunity for you to locate that HARD-TO-FIND treasure at substantial savings! This is a fully painted statue made in 2000. It includes a Translucent water base with a production (# 1,903 of 4,000). The kit contains 29 pieces and will be 12 1/4" tall. The model has 35 pieces, and will stand 10" tall when finished. This rare Limited Edition statue was Sculpted by Mark Newman.